FileDirector is the latest generation of Document & Electronic Content Management solutions. FileDirector can cater for all types of applications.e.g. You can scan or add electronic documents in the UK and retrieve those documents anywhere in the world. FileDirector can be a single user system, all the way up to a system with thousands of concurrent licenses and if your business has a preference to have a cloud based solution, FileDirector is available as a subscription based FileDirector Cloud solution, hosted by the developers,Spielberg on their Microsoft Azure servers, with full on-going support and update services included. 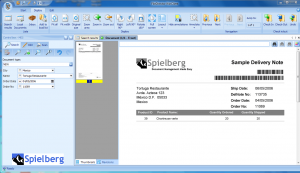 Following on from Spielberg’s long running ScanFile Document Management software, there is over two decades of experience and development behind FileDirector which, now on its third major release, has a solid track record as a Document Management Software Solution. Capable of working with the latest scanners from Canon, Epson and any TWAIN or ISIS driver scanner, FileDirector can record, save and index documents at an impressive rate. FileDirector works well with the high-speed document scanners, but that isn’t the only way records can integrate into this solution. FileDirector can automatically, scan and import files from a folder location, directly import emails (including attachments) from the email server, import from Microsoft Office products and with the powerful Process Management module, you are able to configure FileDirector to send documents to users under predefined processes with which each user can be required to trigger actions like accept/reject. Whether you wish to import all electronic documents from a source, or selectively do so with a simple drag and drop, the choice is yours and FileDirector can accommodate your needs. Using either Microsoft SQL or Oracle databases, FileDirector makes its solution as flexible as it can to accommodate your requirements. Retrieval of documents is a very easy process, as FileDirector, can be configured to allow individuals,groups or departments, to access or share their documents over desktop PC’s or mobile phones and similar devices. 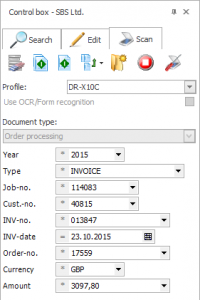 FileDirector can also read a wide variety of barcodes, to help automate index capture process and it can also use OCR technology to read parts of a page or the entire pages, to make finding your documents a simple task. FileDirector is flexible enough to allow you to use Active Directory user accounts, local PC/Workgroup accounts or internal FileDirector accounts, or LDAP depending on which would be your preference to use. Regardless of which option you choose, there will be a FileDirector system account created, that will manage the communications and access between the application, the database and the storage pool (where the document images/files are stored). As a result FileDirector will be managing all access authorisations to documents, changes, access periods, automatic storage of documents and emails to ensure that the security and access of the documents is treated with the upmost importance. With the Audit Trail module, you can record and review all levels of access of your documents & files and any attempted changes made to the documents held in FileDirector. The FileDirector Client app gives you access to your FileDirector system, from wherever you are, resulting in you having access to your own Document Management Solution whenever you need it.